Easy steps for GRILLING | Cook, Party, Enjoy! Whether your grill is propane or charcoal you want to start with a clean, oiled grill to keep food from sticking. To Clean: Preheat the grill, give it a scrub with a grill brush and then brush it with vegetable oil. Start you charcoal grill about an hour before you plan to cook to allow the charcoal to get white and perfect for grilling. Propane you can start whenever you want to start cooking but you do want to make sure the propane tank is full before the party, you don’t want to run out while grilling and have to go get more. A wise investment if you don’t have a gauge on your tank is a sticker that will change color when your tank is empty. Starting a charcoal grill is easier than you think. I no longer use lighter fluid or newspaper or anything but my electric starter. 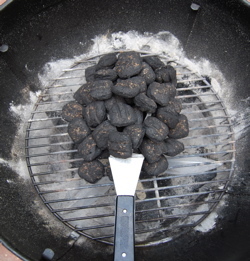 I just pile on the charcoal, plug it in and in 5-10 minutes I have a red coals going. I start out by piling the charcoal onto my electric starter and then I just plug it in and wait until coals begin to get red hot. 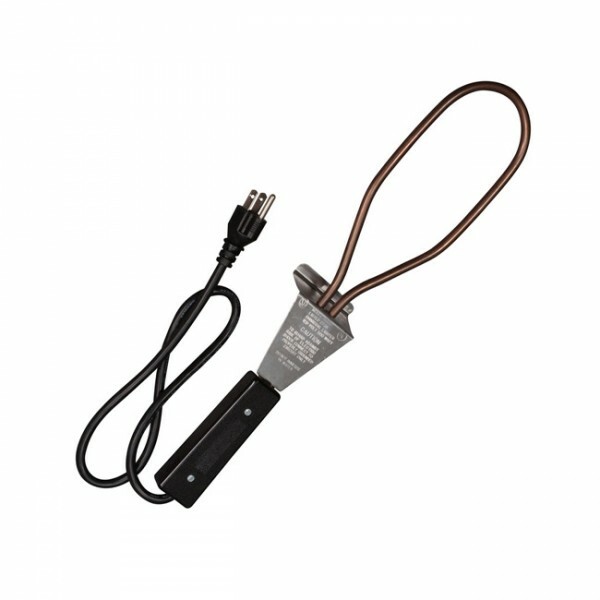 This is the electric starter I use to start my charcoal fires. It is all I need to have a white hot fire in less than 15 minutes start to finish. No matches or lighter fluid. These starters are not very expensive. They have them at most stores that carry grills. 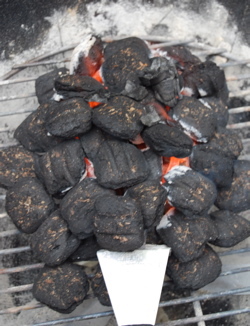 As you can see the coals get nice and red and are white before you know it. 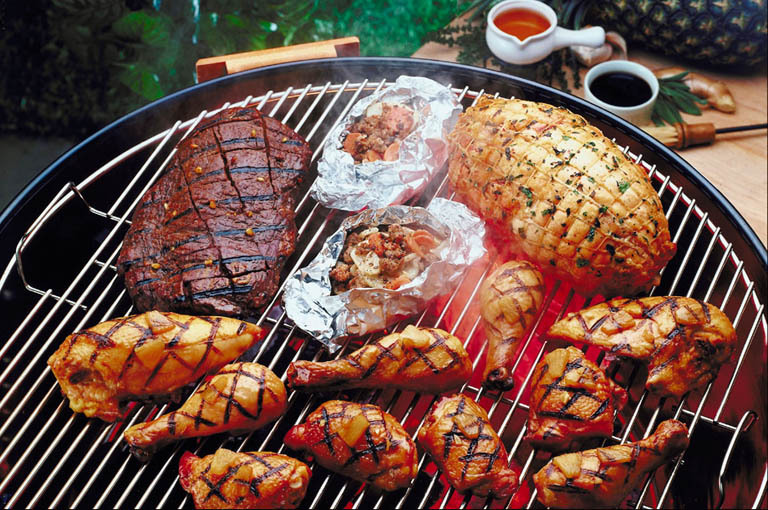 Many recipes will tell you how to prepare foods on the grill but here are a few tips. Meats are best at room temperature so after removing them from the refrigerator allow them to rest for 15 to 30 minutes before grilling. This is the perfect time to add any additional seasoning to your meats or vegetables. Space out your meats a little on the grill to allow for even cooking. You can grill a variety of foods on your grill at one time. Be sure to put the meats that take the most heat to cook in the areas where the grill is hottest and those meats like seafood and hot dogs to the outer edge. Avoid turning meats frequently on the grill — one flip is all they need. When burgers and steaks get bloody on top, one flip is all they need. Once your meats are grilled to your taste, plate them and let them rest for a few minutes on a warm plate tented with foil. This gives the meat time to “rest” and allows the juices to reabsorb into the meat for the best flavor. Veggies do well wrapped in foil and cooked over indirect heat. You can also shish Kabob which is fun for everyone. There is also a veggie grill pan available which is large and has holes throughout which works well for veggies, shrimp small foods that might fall through the grilling surface. Corn on the cob and potatoes take a very long time. I get around this by precooking mine oiled and seasoned in the microwave and then finishing them on the grill. Whenever you grill out, just remember that you should have fun with it. It is a great way to avoid the heat of the oven and stove in the summer and get the family involved. Who doesn’t like to grill out when it is so easy. Don’t forget dessert. Check out some camping recipes that work great on the grill too.